Many PHP applications need to process Excel files for many purposes. Read this article to learn how to easily import an Excel file in XLSX format and insert the data in a MySQL database using the SimpleXLSX package. XLSX is a file format used to create an Excel spreadsheet. It was first intruduced by Microsoft in Excel 2007. It is XML-based, which makes it easier to transfer data between applications. A XLSX file stores data in worksheets in the form of cells. Cell are contained in rows and columns which can have multiple properties of the cell data like styles, formatting, alignment, etc..
XLSX is in reality a simple ZIP archive. It contains multiple XML files, which have all the information of the spreadsheet properties. There are multiple ways to parse XLSX with PHP. As it is was mentioned above, a XLSX file is a XML-based ZIP archive. In this article I focus more on the SimpleXLSX package and how to use it to parse XLSX files and importing its data into a MySQL database. Using the SimpleXLSX package you can get data from the spreadsheet in form of rows. You can use that information for your own purposes. Since a XLSX file contains multiple files, it cannot be imported directly into MySQL. So the recommended way is to convert the XLSX file into a CSV and then import that to the DB. There is also an online tool that can be used for that. You just upload the XLSX file and it creates the insert statements for it. There is also plenty of desktop software like e.g. Excel2MySQL, Navicat, MySQL for Excel, Mr. Data Converter etc.. You can use the XLSX parsers in PHP to do this too. In the next section I will be going into more details about that approach. 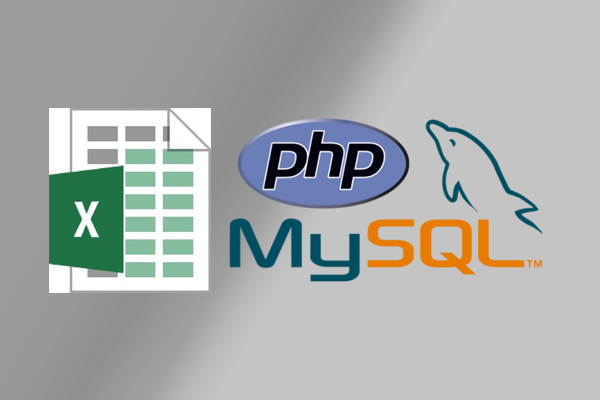 As I mentioned above, you can use XLSX parsers written in PHP to import XLSX file data into a MySQL database. You might wonder why go to all the trouble of using parsers when there are other easier ways of importing XLSX into a MySQL database. Well there can be many uses for this approache including, importing given user provided XLSX files into a database automatically. This can be done using SimpleXLSX in a couple of ways. Using the above code you can parse an XLSX file in to a CSV file and then you can easily import the CSV file into the MySQL database. It is fairly easy to parse an XLSX file. The SimpleXLSX package provides an easy way to read and convert any XLSX file so it can be processed in any way your PHP application needs or even insert the data into a MySQL database for instance. You can download the SimpleXLSX package in the ZIP format or install it using the composer tool with instructions presented in the download page. Share this article with other colleague PHP developers that can benefit from this information. If you have questions post a comment below.